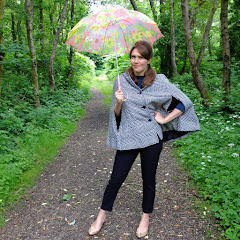 No outfit post today, I'm off having an adventure! So, instead, the last post with this roundup of failed purchases was such fun, I thought I'd do another one. As with the last one, these are lovely items that just aren't suited to me, but they may well look smashing on you. Why didn't they suit me? Read on. 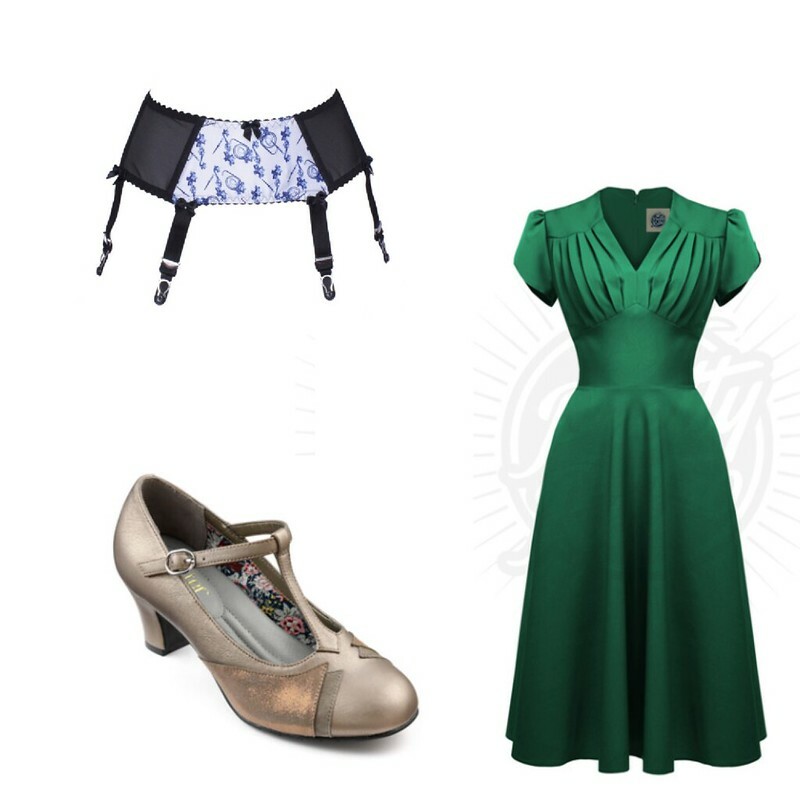 Above, clockwise from top left: Kiss Me Deadly suspender belt, Pretty Retro swing dress, Hotter Georgette heels. The Pretty Retro swing dress was gorgeous, I was impressed with the quality and details, seeing as it's the cheaper line (£59) from House of Foxy. It felt wonderful on and I was pleased with the fit. I wanted to keep it. Then my husband pointed out the weird bust area... I couldn't work out why it was sitting so strangely, I thought maybe it needed a steam to pop the shape out properly after having been folded. I thought about it for a bit, and then realised that it wasn't the dress, it was me. My bust was too small to fill the shape out properly. I recalled then that House of Foxy had advertised their version of the dress as well-suited to larger busts. I was disappointed then, but realised I had to return it because it was never going to suit my shape. I had been lusting after the Georgette metallic 1920s' style shoes from Hotter (£79) since I saw Harlow sport a pair. I ordered them on Black Friday as they had 30% off. Alas, when they turned up, they were a poor fit on me. I've tried half a size down, I've tried the wide fit. None of them suit my long feet, the front part of the shoe is too short in proportion for me. The larger size just makes my foot slide forward and gives me a gap at the heel, crushing my poor toes at the front. I have tried a few pairs of Hotter shoes now and encountered a similar problem, it's like they've scaled up the shoes for larger sizes in a bit of an odd way. This is starting to sound familiar, as I had the same problem with those Miss L Fire slippers. Bah! I'll have to stick with Clarks and hope they bring out some 1920s' styles. I also hope to resurrect my 1920's style wedding shoes, which are currently in a bag in the attic, all curled up and stained. I'm on the hunt for fabric paint that doesn't have to be ironed to 'set' - please let me know if you have any recommendations. The Jacquotte suspender belt from Kiss Me Deadly (£39) was an impulse buy, to compliment the bra and knicker set I already have. However, it was very tight and uncomfortable, and as I wear suspenders for function (to keep stockings up all day/evening), rather than for boudoir wear, I sent it back. So, there you go. They didn't work for me, but could they work for you? Have you had any shopping failures recently? So disappointing! 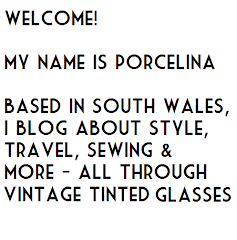 I have gone off internet shopping recently, precisely for this reason!!! Also making most of my clothes now means I can pretty much always get a good fit. Well most of the time anyway!! I know learning to sew my own will pay off long term, I'm persevering!! As always though I have really enjoyed this segment, I have a lot of admiration for your transparency. I'd hate for people think that I just pick things up and they magically all work - like most women, I find clothes shopping tricky and have to buy a LOT to get a few items that really fit well!! I have shoes that are 7, 7.5, and 8 in Clarks too! Not consistent, but I find if I persevere I can get a decent fit. 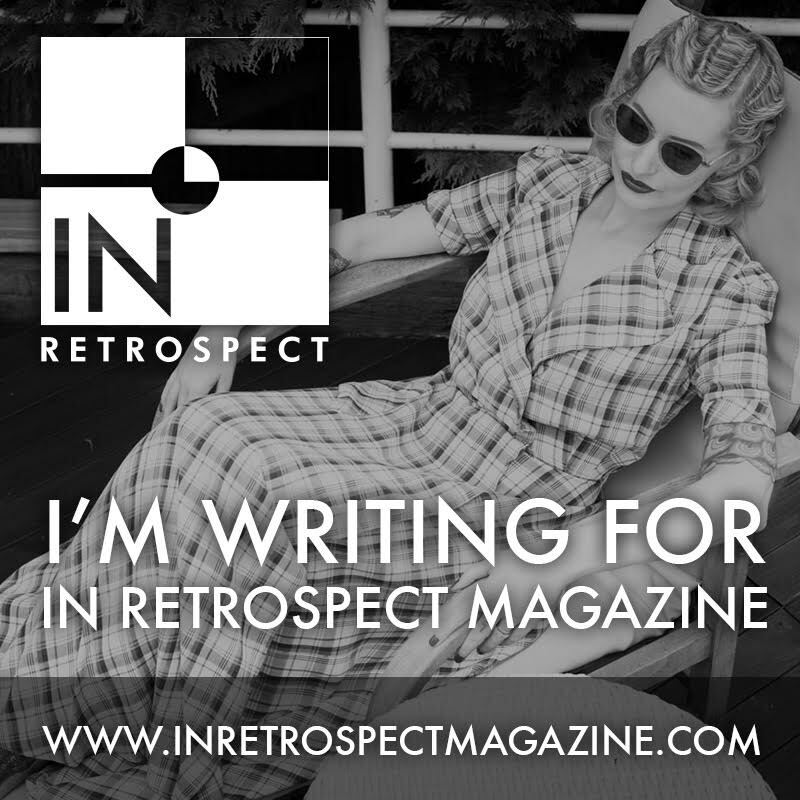 I am SO glad to read that about the Pretty Retro dress! I have it on my list but as I also have a small bust I will have the same problem, it's one I encounter quite often with dresses that fit my waist but then have acres of bust to spare. Yes, you're another person with a similar shape to me, so like HuggyHare below, I agree that it's probably not going to work for you either unless you use a super push-up bra! That's why I love seeing your disaster dress posts, because it is helpful seeing what doesn't work on people similar to me!! What a shame! These are problems I've had before too...not enough bust is a frustrating one, but the shoes really bug me. My feet grew post-pregnancy (boo!) so I'm now a 42 or even 43 in some styles. There are so many shoes that are adorable in small sizes and just look...weird once they are scaled up, and getting the right fit is a whole story beyond that! I honestly thought I was a freak to have these problems, I'm so encouraged by these comments that it's not just me!! Though of course I'm sorry that you have issues getting pretty shoes to fit also. You just have to try loads on I suppose!! Never fear, I have a replacement green dress already!! I like trying things, I don't mind losing a couple of quid on postage rather than spending days thinking about things I didn't buy!! Three's not too many things to send back. I tried on a wrap dress in Monsoon at the weekend and it looked indecent over my front, so perhaps I should look up that Pretty Retro dress! It's definitely one for more ample bosoms Mim, so maybe it could work really well for you! I've been thinking of doing a similar type of blog post about all the failed purchases I have done this year since there are quite a few (and some of them I don't even remember anymore), including cosmetics and other stuff. 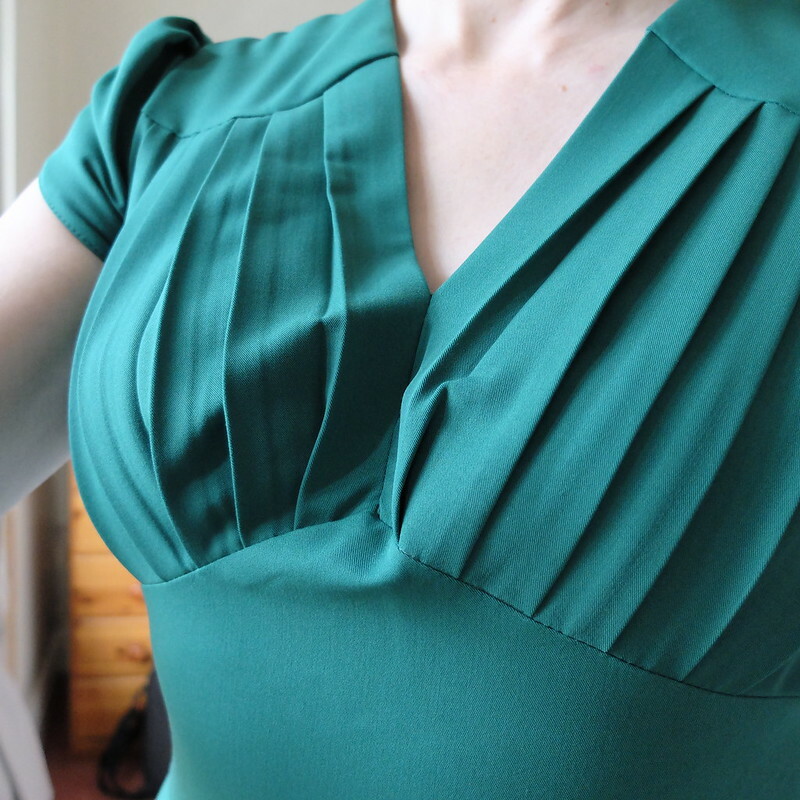 Earlier this year I bought bikinis I had wanted for ages from Collectif, but oh the disappointment when the top turned out to be HUGE. In size S it was like it was made for someone with at least a cup size of 36D. The bottom was great but the top was so big on me that it was ridiculous. The only kind of adjustment it had was the halterneck straps and it didn't help, because the cups were huge and the band even bigger. It was such a shame, because I had been searching for a highwaisted bikini for ages. On other note I think the dress still looks great on you and maybe you could have pulled it off with some super push-up bra. I do that with some styles that would be too big for my bust otherwise. I do think of you sometimes when I buy things, because I know we're both tall and a similar shape, I have referred back to you blog about some of your purchases! It's helpful. Such a shame about the bikini though, you can't really do anything about cup size. I did wonder about a super push-up bra, but I tend not to wear that style much these days. 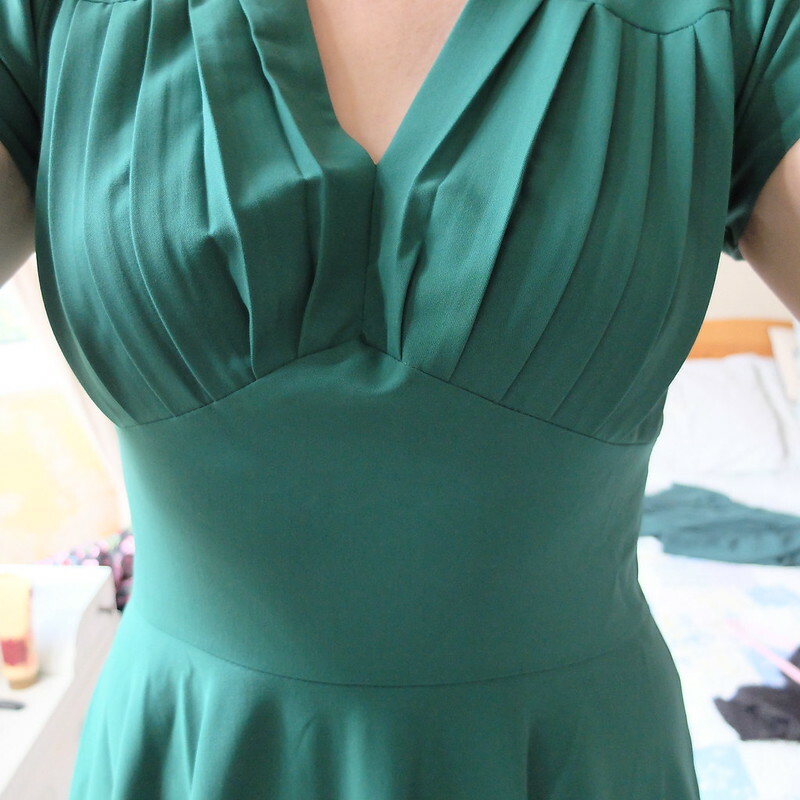 I confess I bought a replacement green dress already, I will share it soon, and it's a much better fit! Pity about that dress, it's so pretty! I would have thought the pleats would make it suitable for a range of bust sizes. so it's too bad that it didn't work for you. I haven't been buying much for myself lately, but I was really disappointed about one of the Christmas presents that I got my mother in law. It was a pretty snowflake shaped necklace, but several stones had fallen out when it arrived. It just makes me feel like I need to do a bit less online shopping, really. I totally thought the same, that the pleats would work for all bust sizes. Alas. That's so bad about the necklace you bought, did you manage to get a return or money back?? It's frustrating when quality isn't as expected, and it is much more of a faff with online returns a lot of the time. The dress was my fave - and sometimes when we're so smitten with a garment we miss the flaws. Your husband pointing out the chest area was a good call. Yes, I would have been annoyed if I'd only realised the issue later on down the line! Friends and family can be very useful in spotting this kind of thing!! Lovely picks it's too bad none of these worked for you. Still it's better to know early what doesn't work and send them back. Nothing worse than having something sit in your closet because it doesn't work for you! Exactly, and I have so many clothes that 'it's ok' is not enough justification, it has to be amazing! This is why I rarely buy on-line, or at least I find a shop that may carry something and try it on, and then order it on-line. Recently though I did have an on-line shopping failure. Akin to the boot problem of your last post on this topic - I purchased a skirt from Fables by Barrie, which they called "Jade" and appeared to be kelly green. When it arrived it was indeed teal. I haven't returned it, it was a Black Friday purchase, so I'm not sure I can... I so desperately need a green skirt!